Over the past few years, we’ve covered a number of health apps that we believed put patients at risk through dubious claims about what they can measure or treat. In 2014, we detailed an app called Instant Blood Pressure which claimed to measure blood pressure just by having users put the microphone over their chest and finger over the camera. About a year after our initial article, it was pulled first from the Google Play app store then the iTunes app store. And earlier this year, a study conducted by some of my colleagues at Johns Hopkins showed Instant Blood Pressure to be highly inaccurate and detailed how those inaccuracies could put patients at risk. Given the attention that study got in the lay press as well as Apple’s moves to scale up their healthcare expertise, I assumed that the review of health apps, particularly those that claim to measure or treat something, would be tightened up. 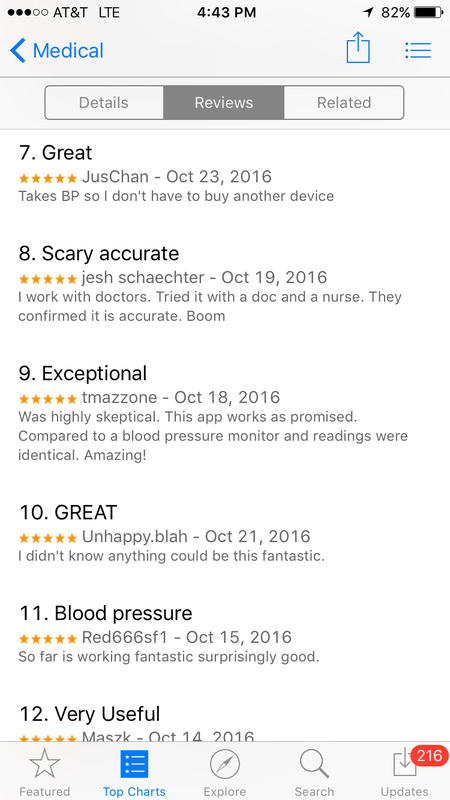 So I was surprised when perusing the iTunes app store when I saw “iCare Health Monitor – can measure blood pressure” pop up as one of the top 25 most popular free medical apps. In many ways, it echoed what we saw with Instant Blood Pressure as well as some similar health apps on Google Play but was even more egregious in some of the claims it made. As you can see from the description, it claims to measure blood pressure, heart rate, blood lipids, blood oxygen, vision, colorblind, hearing, lung capacity, breath rate, and psychological index – all without any peripherals. 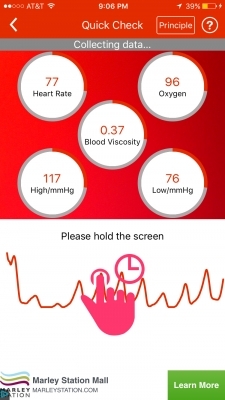 The app appears to use the same basic photoplethysmography (PPG) principle that other apps including Instant Blood Pressure or Pulse Oximeter use. Users put their finger over the camera, the flash turns on, and it generates a PPG waveform. How it goes from that to telling me my blood pressure is 108/69 mm Hg, blood viscosity is 0.37, oxygen levels are 97%, and “emotion” is happy/readily/catharsis/relax is left unexplained. 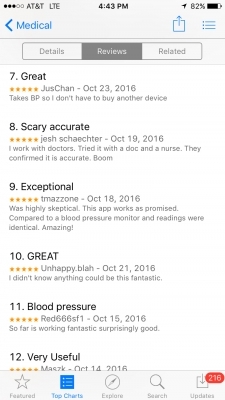 If that omission wasn’t enough, that the app describes the systolic and diastolic blood pressure as the “high” and “low” blood pressure respectively doesn’t exactly engender much confidence that a ton of medical expertise went into developing this app. As with Instant Blood Pressure, the reviews are generally glowing with a particular focus on the convenience of not having to use an actual blood pressure cuff. 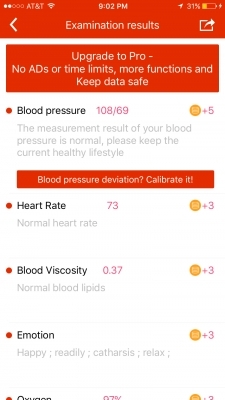 In its description, the app says its blood pressure is accurate within 12 mm Hg, heart rate within 3, and blood oxygen (presumably saturation) within 2. Of course, there are no references or data offered to back that up either in the description or on the developer website. 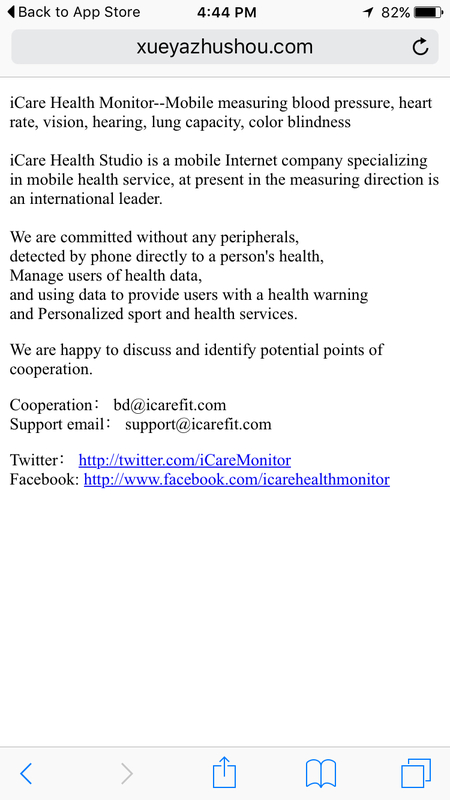 It almost goes without saying that iCare Health Monitor should be removed from the app store immediately. It should be noted that while the app shows up in the Top Charts, it doesn’t appear in the more actively curated Medical category in the app store. 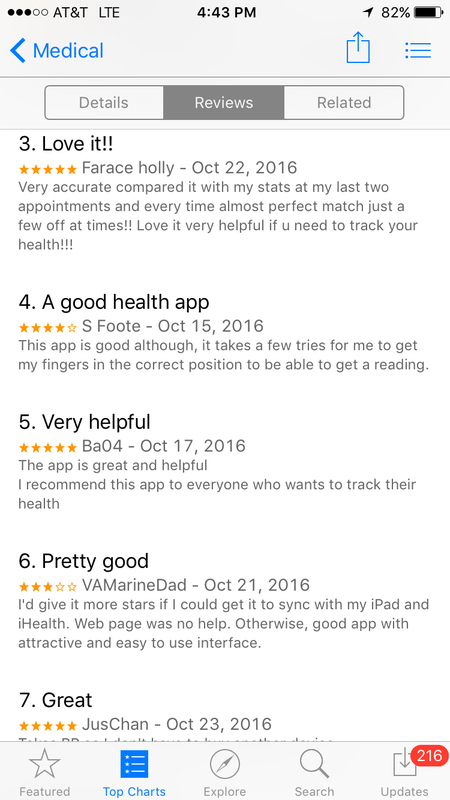 But what I’m particularly struck by is that a health app that makes so obviously dubious claims to measure very specific vital signs and even diagnose health problems (high cholesterol) slipped through the screening process. 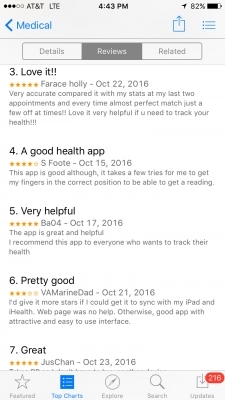 That it made it to the top 25 free medical apps also leads me to believe that whatever active monitoring of health and medical apps is done by Apple is falling short. That app nearly killed my daughter on the Everest Base Camp trek on November 2018. 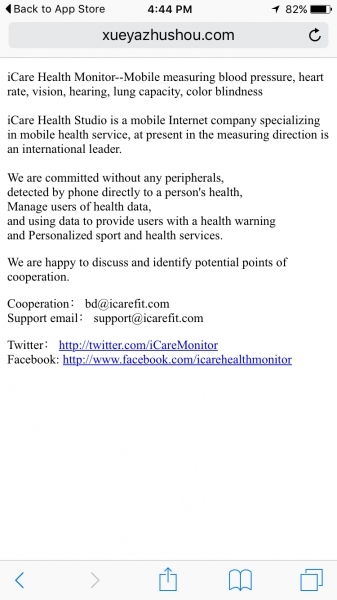 We were at Lobuche (5 000 M, 16 400 F) and the app said that she had 94% oxygen in her blood. Even with that result, she felt weak. We asked other trekkers if they had an Oxymeter dongle. Yes, some of them had one, we measured her oxygen with two of them. The result 55% oxygen in the blood. Called an helicopter right away and flew to Kathmandu. STAY AWAY FROM THAT DANGEROUS APP.